Hard as it is to believe, scientists have revealed in the journal Nature Communications that modern horses and rhinos may have descended from common ancestors, and this is substantiated by newly uncovered fossils discovered in India close to a coal mine. The modern horse, rhino, and even tapir are found to belong to the Perissodactyla, a biological group of animals with uneven number of toes on their hind feet and a digestive system that is largely different from all other animals. These were also called odd-toed ungulates as a result of their distinctive toes on their hind feet. A large number of preserved bones were unearthed by scientists who had reasons to believe that the animals must have lived some 56 million years ago during the Eocene epoch. Over 200 animal fossils were found to belong to the Cambaytherium thewissi – a relatively unknown animal that must have existed some 54.5 million years ago when India must have been a part of Madagascar. Nothing much is known about the Perissodactyla order of ancient animals, but researchers believe the fossil bones of the Cambaytherium offer some insight into how the Perissodactyla must have looked like. 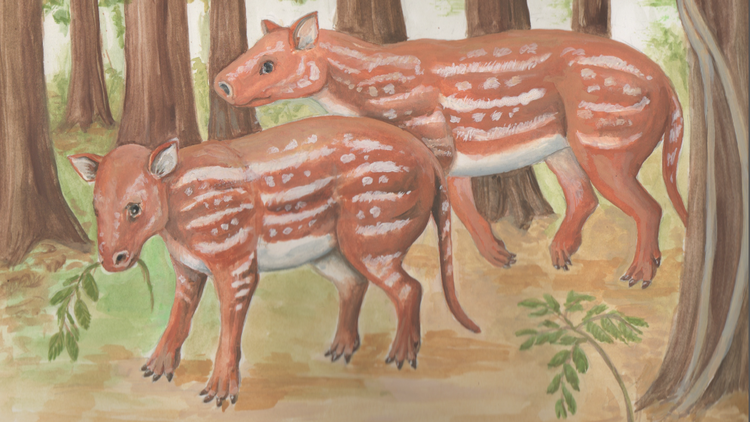 Moreso, the remains of the Cambaytherium provides some information into when India was a part of the continent of Madagascar before it separated itself and joined with present day Asia; and this signifies that horses and rhinos and tapirs may have actually originated from India.